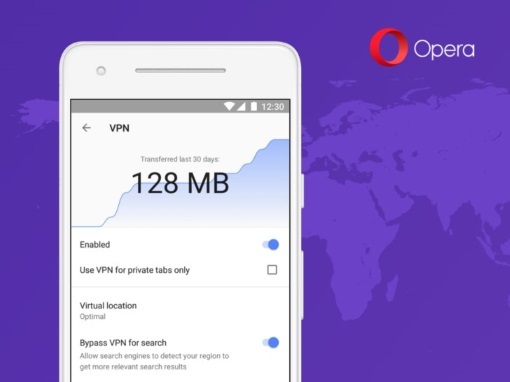 Opera has declared that it has started testing a new built-in VPN in the Opera beta app for Android. According to Opera, there's no need to download a separate app to get the VPN up and running — it's built into the browser itself. You can pick between Europe, America, and Asia. 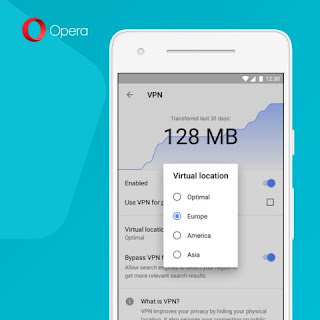 There's also an Optimal mode, which lets the VPN choose the best connection for your location.